This sightseeing tour takes you through the magnificent Bellarine Peninsula and the wild Surf Coast areas of Victoria, and west down the first part of the Great Ocean Road. You’ll explore Melbourne’s favourite summer playground on a relaxing ride. We’ll begin by experiencing the rush of Geelong's magnificent waterfront precinct next as we head into the Bellarine Peninsula. Take some time to explore the artwork - many sculptured characters that have shaped Geelong's history – on the Baywalk Bollard Trail. Walk through Cunningham Pier, the Carousel or Geelong’s Botanic Gardens and take in the vistas of Corio Bay. From there, beautiful Queenscliff is our next stop. Its historic Fort and magnificent marina provide spectacular elevated views across the mouth of Port Phillip Bay and over to Point Nepean – and views of Melbourne if the conditions are right. Nearby Point Lonsdale provides an opportunity to walk on the beach that is at the entrance to Port Phillip Bay. Experience the Rip – one of the world’s most notorious harbour entrances – and visit the lighthouses that guide the ships through the Heads. 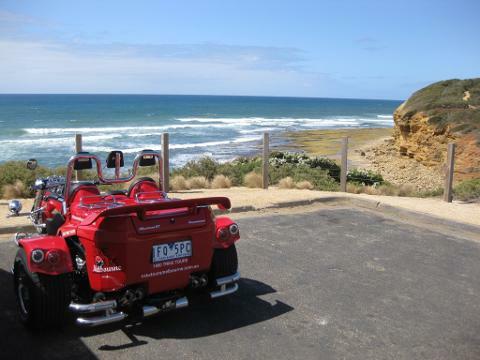 We’ll sample a winery on the way to the idyllic seaside resort of Barwon Heads and then head to the true Surf Coast. The Surf Coast has magnificent beaches and wild surf when conditions are right. We’ll stop at Torquay (the home of Australia’s surf industry) to explore the beginning of the Great Ocean Road, then check out the surf at Winki Pop and Bell's Beach – home of the Rip Curl Easter Surf Classic. Depending upon our progress and your preferences, Point Addis is a lookout option prior to visiting the seaside location of Anglesea, or we may have time to head to the Lighthouse at Split Point for some more views of the coast. 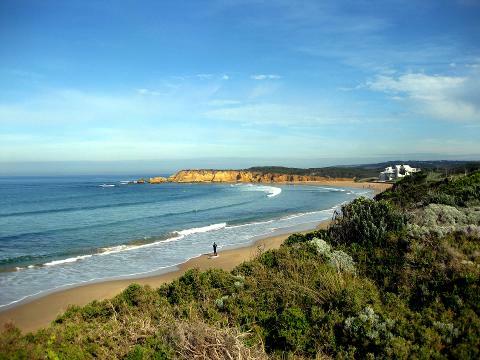 The Memorial to the Great Ocean Road at Eastern View may be an option also before returning. There are a number of stops you can choose on this tour for lunch or browsing - it's entirely your choice within the time frame.